Our affiliate supplement company Maximuscle are offering new customers £5 off when you spend £50. 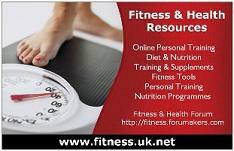 Click on the link on the [url=http://www.fitness.uk.net/]www.fitness.uk.net[/url] homepage to go to the Maximuslce site and claim your offer. NO!!! but they will help you achieve your goals and provide an easy way to get your nutrition right. I am redoing the store tomorrow on the website to concentrate on featured products that are worth using such as protein powders and creatine. Is this offer still going? what products if any will benefit me as a begginer? Hi Rick - yes the offer is still going, check the online store on the site or click the link at the top of any of the pages on the site. good offer Garthy.. I will come back to buy..